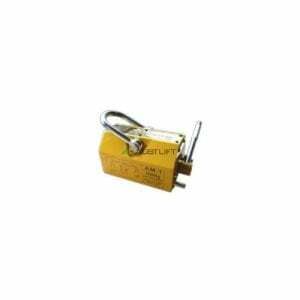 At All About Lifting & Safety, we are a leading provider of the best magnetic lifters Australia has on offer. We are the go-to suppliers of reliable magnet lifters to use in whatever industry you need. All of our magnetic lifters are compact, easy to transport and ensure a strong grip on any equipment. We offer added safety features that we explain more below to make sure your personnel are at no risk of injury and your equipment at no risk of damage. Our team of qualified professionals will be the first to tell you that using magnet lifters is very straightforward once you know how. We stock and install a wide range of easy to use magnetic lifters Australia. Magnet strength. Make sure when choosing a magnet lifter that you pick one with a magnet strength sufficient for your lifting needs. Weight. The weight of the magnet lifter is important when transporting it to different work sites or sections of the workplace. 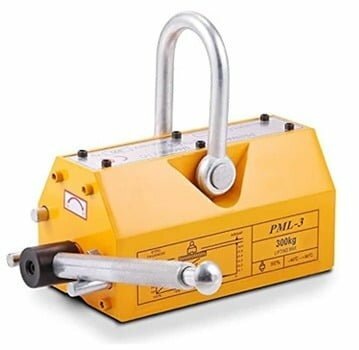 If you require little portability, then a heavier magnet lifter is fine. Safe working load. When using a magnet lifter (or any heavy lifting equipment) you should never exceed the safe working load of the equipment to prevent injury or damage to the equipment. Check it. You should visually inspect your magnet lifter before you begin using it to check for signs of damage. Clean surfaces. Make sure the surface of the item you’re lifting and the magnet lifter are clean, dry and free of oils, etc. Whatever use you have in mind for magnetic lifters Australia, our All About Lifting & Safety team of experts will guide you through the selection, installation and operation processes.